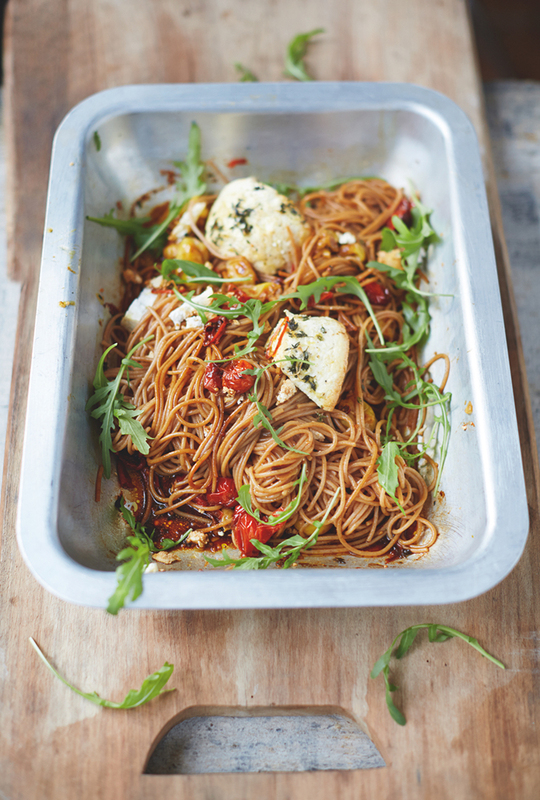 Jamie Oliver’s Everyday Super Food book review – plus I’m sharing his Spelt Spaghetti, Vine Tomatoes and Baked Ricotta. White potatoes has such a bad reputation now, along with bread, rice…etc, but I don’t see anything wrong with eating potatoes every now and then as part of a balanced diet. 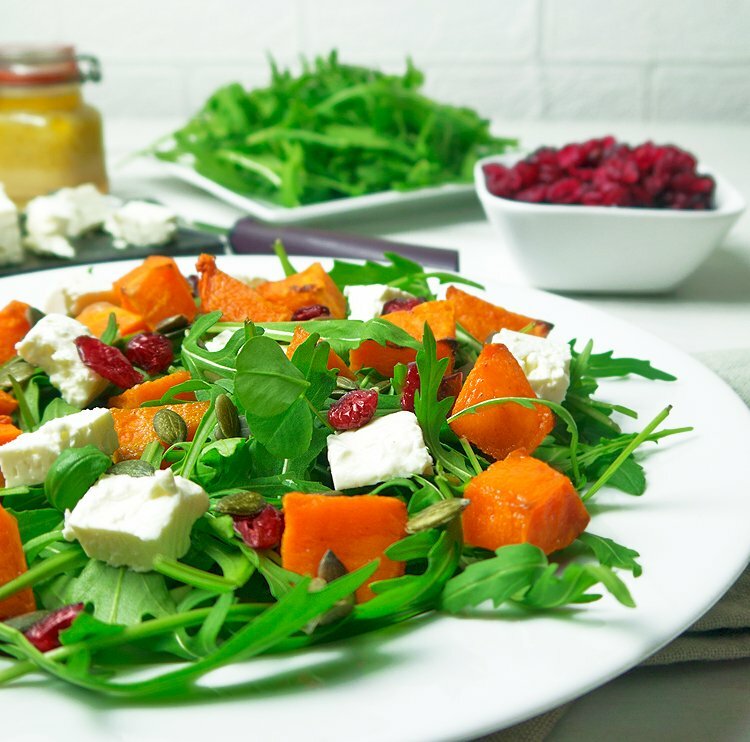 True, sweet potato is better for you as it offers an impressive serving of vitamin A which white potato lacks, but it’s still a good form of carbohydrate to include in your diet. The sun decided to come out today (yay!) 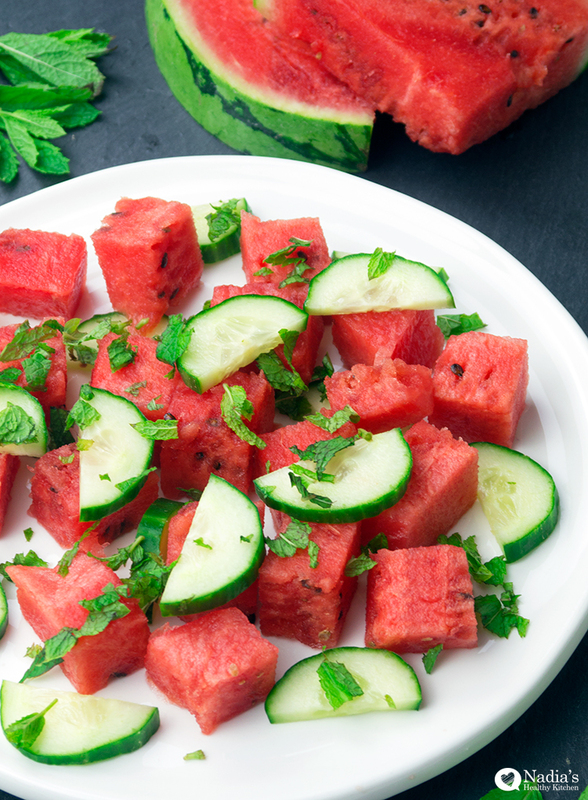 so it’s the perfect opportunity to share this simple watermelon cucumber and mint salad. To me, those three ingredients define summer, especially watermelon! 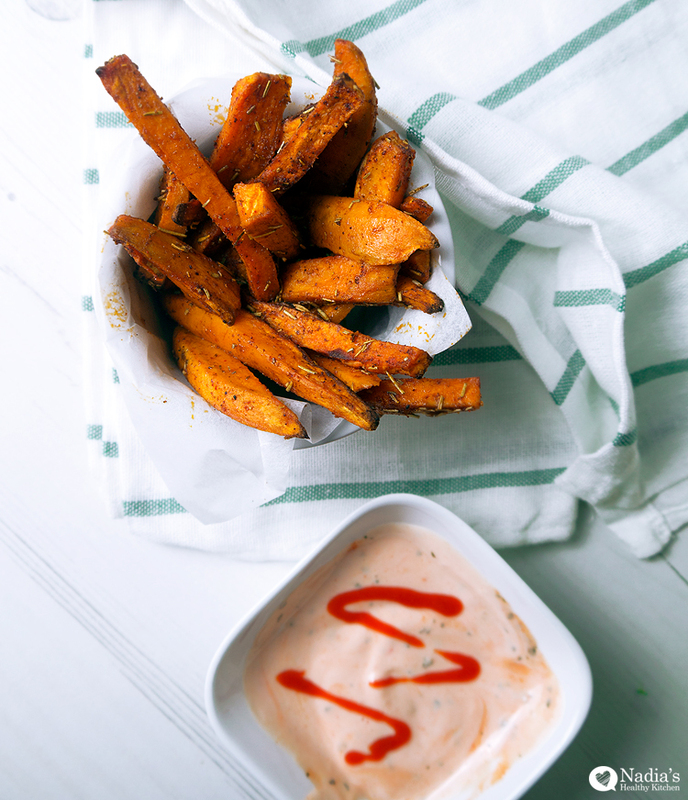 When combined, they make the perfect side salad or snack. I once ordered a salmon dish when having a catch up with a friend and it was served with a mango salsa. I thought it was so delicious and the flavoures complemented each other so well. 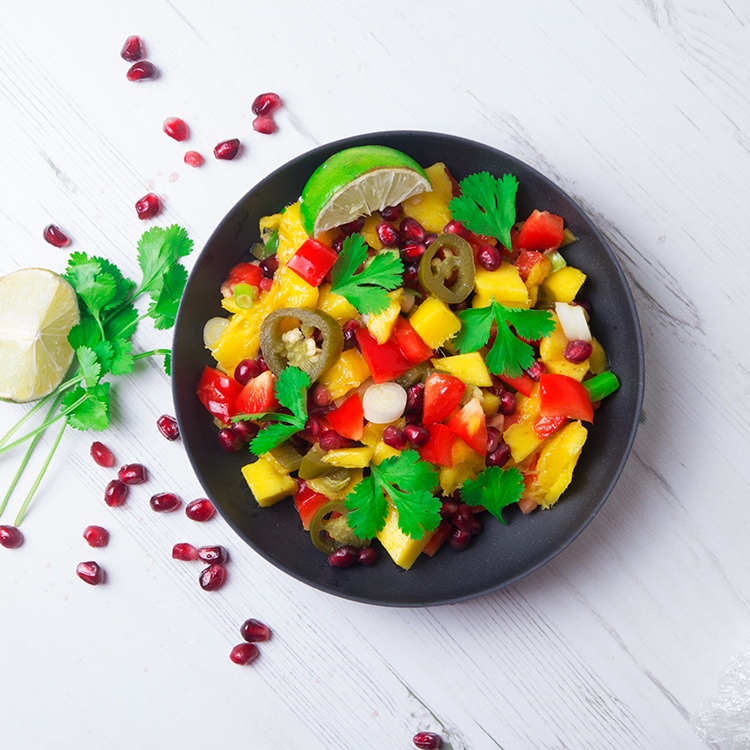 I thought the mango was quite a nice alternative to add to salsa. I decided I would soon recreate the dish, this was two years ago! I recently remembered it and suddenly had a strong urge to make it! 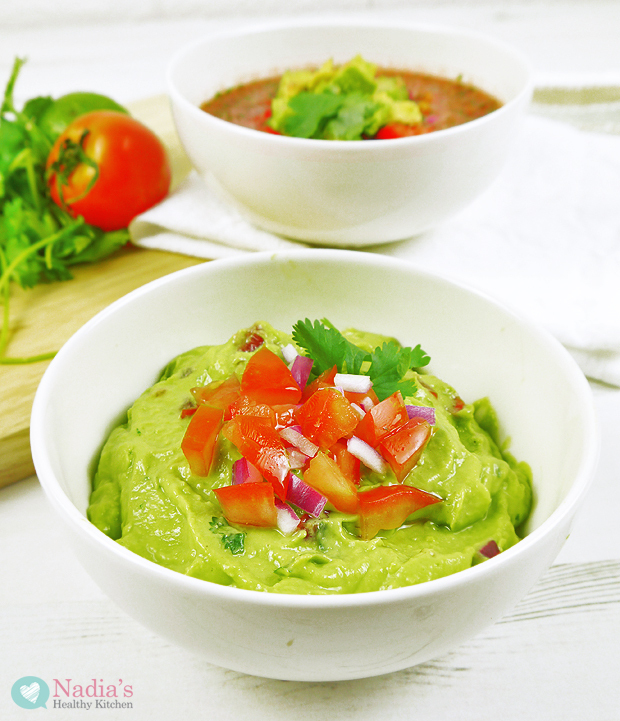 I know I’m not alone when I say this – I’m obsessed with avocados! Another thing that I love is bruschetta – the crispy bread it’s served on, the flavours and the simplicity of the idea! 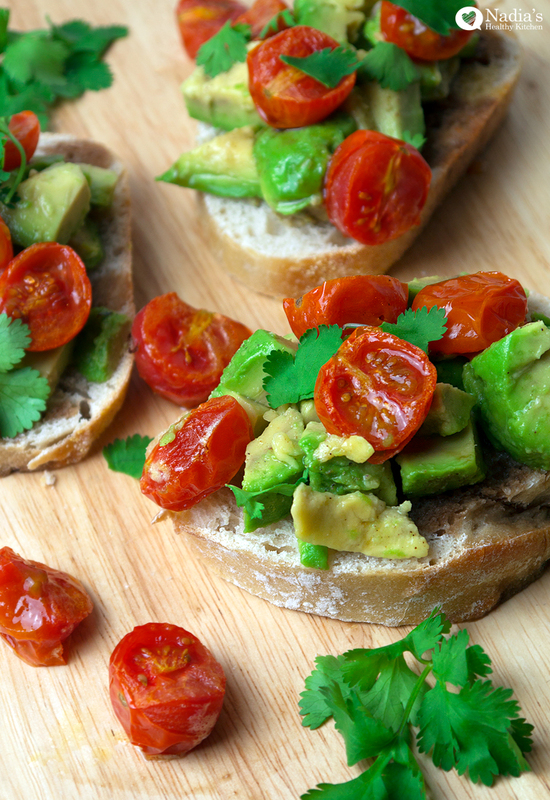 I’ve made simple tomato and basil bruschetta many times, then one day it occurred to me, why not add avocado? It made perfect sense. 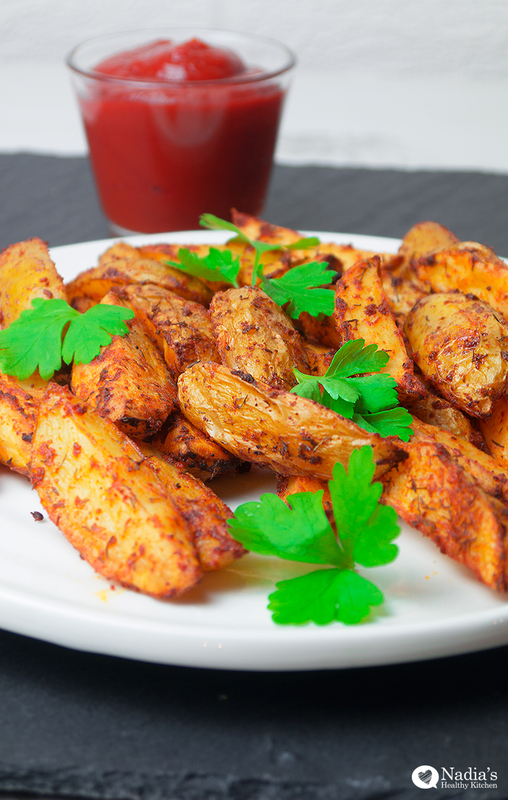 These fries will change your life! Well not really, but if you’re trying to be healthier but still want to enjoy chips or ‘fries’ from time to time (or everyday!) then this might just make your life a little bit brighter. 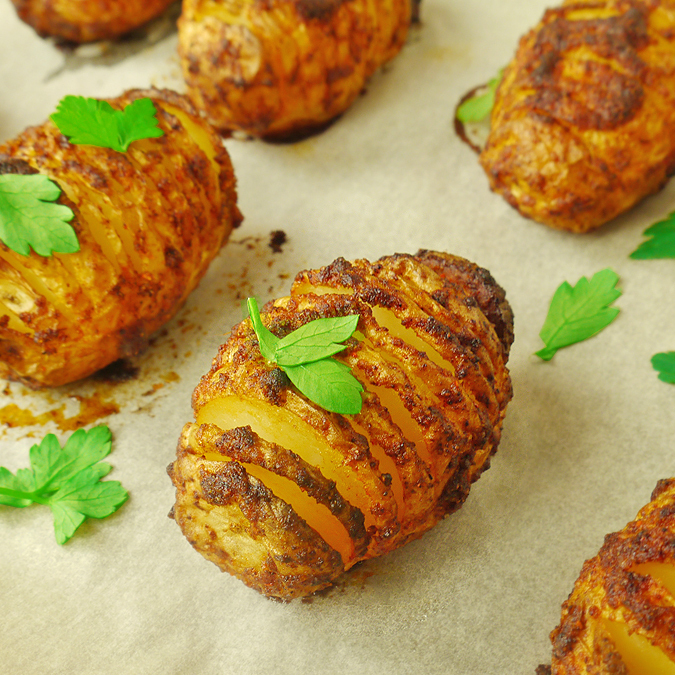 Crispy and golden on the outside, soft in the middle and an absolute delight to look at! 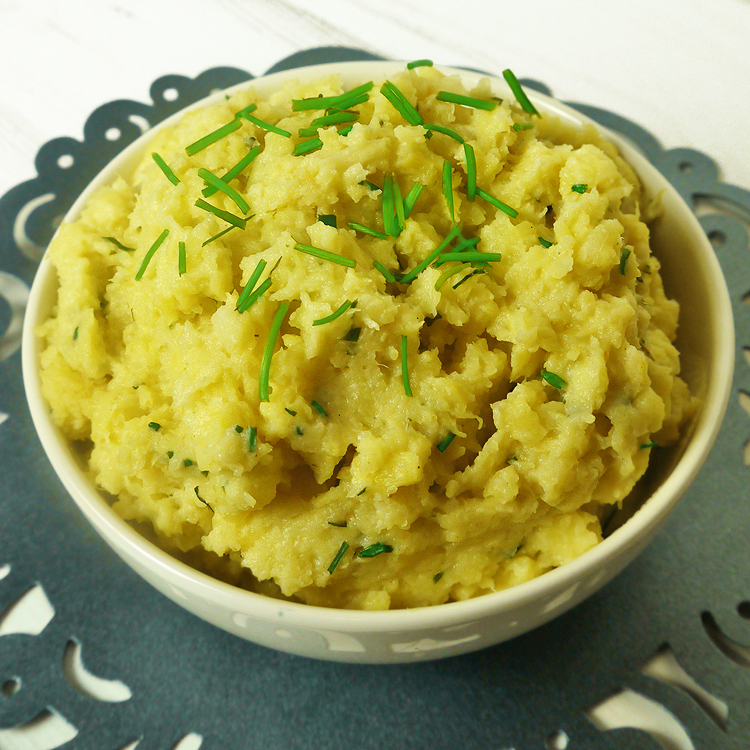 You won’t want to go back to plain potatoes ever again! Guacamole goes with everything: salads, vegetables, meat, in sandwiches…I make so many different variations all the time depending on what ingredients I have, but mostly how lazy I’m feeling! Usually, I’ll scoop a ripe avocado onto a plate, mash it with a fork, add lots of fresh lemon juice and a sprinkle of pepper and call it ‘Guacamole’. It tastes so good and fresh simply like that, but if you’re having Mexican food (say Fajitas!) then you have to do it properly.